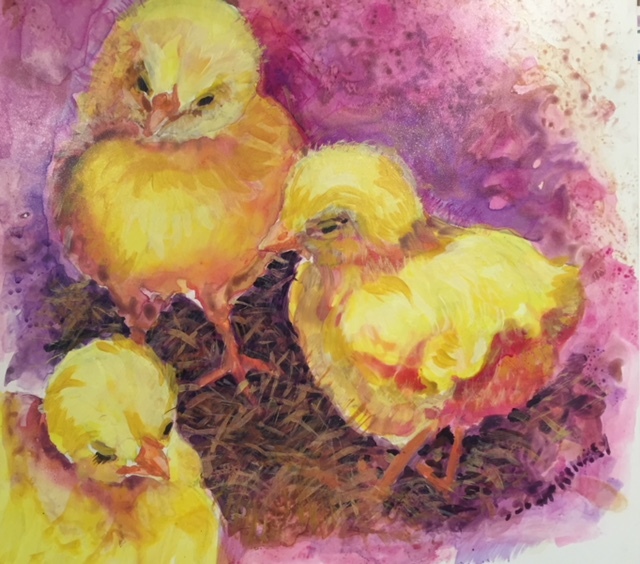 Susan Scott Kenney is a practicing artist and a retired art teacher who resides in Dayville, CT. She taught art in the Dudley- Charlton School District for thirty-five years and taught Grades K-12 during that time period. She also taught classes at QVCC, Framingham State thru the French River Consortium, and Michael’s. Susan received her BS in Art Education from Southern Connecticut State University and her Masters of Art Education from Hartford Art School, which is part of the University of Hartford. She is a member of the Connecticut Women Artists, an associate artist at the Silver Circle Gallery in Putnam, as well as an elected artist and President of the Norwich Art Center Gallery, and a core artist with the Maple and Main Gallery in Cheshire, CT. Since her retirement she has been painting and exhibiting on a regular basis.